Me, Myself and Crohns Disease: Ileostomy Reversal. Hello everyone. I'm now 1 week post surgery! Currently feeling like my insides are gonna spew out my belly button so this may be a brief post! I made notes on my phone through out it but some of it makes no sense and isn't possible to read by any human being. Wonders of morphine I suppose! Here goes anyway! I arrived at the hospital at about 12 midday. I was feeling pretty chilled and hadn't cried since saying goodbye to my boyfriend the night before. Held it together pretty well to be honest! As I was back on my old ward I knew everyone there and everyone knew me! I was greeted bye big smiles and "welcome back!" We had a long wait then. So me being me had a nose through my surgical file! 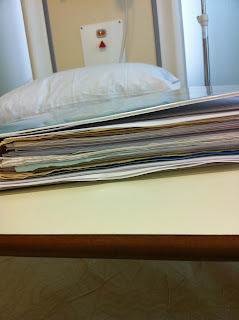 Here's my file! Pretty impressive considering this is JUST from surgeries haha! 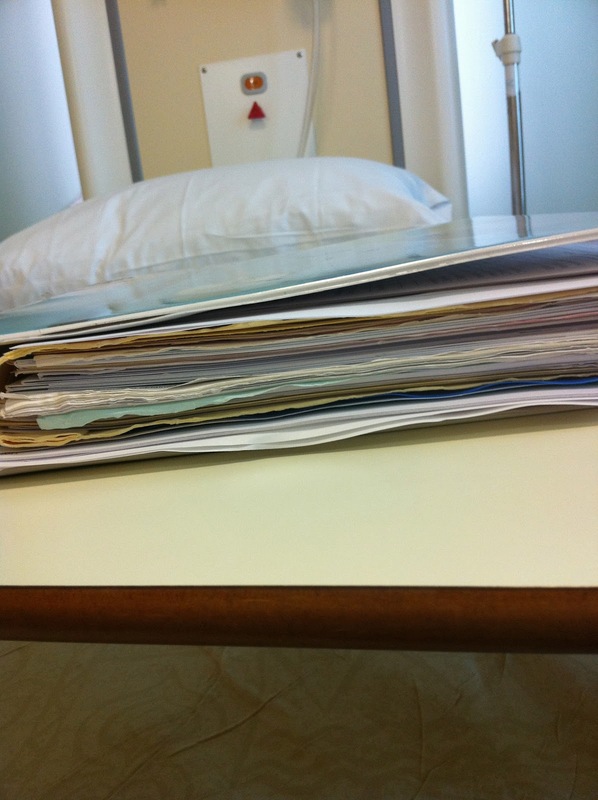 This isn't even my NHS file this is my private medical file haha! This was my room for the week! We'd just arrived so its tidy at this point haha! And my view, this is all I saw.. apart from the bottom of a sick bowl.. I hadn't eaten or drank for over 12 hours and my parents decided to eat lunch in front of me. Fatties. And although my boyfriend lives in Ireland and is poorly himself he still came over the 2 days before surgery and looked after me. 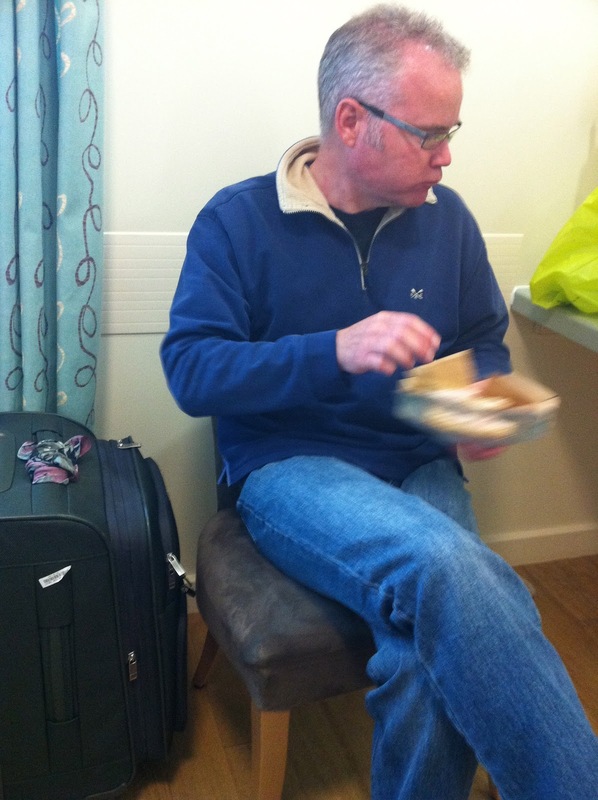 He came with me to hospital in the form of this photo :) Kept me smiling. Next we were told I wouldn't be going theatre until about 4pm. So Mr B (The surgeon) and the anaesthetist came and talked to be. Then I settled down for a few hours to have a nap. Then all of a sudden, about 20minutes later and nurse and member of the surgical team came in and said LETS GO! Sudden rush and panic I got changed and lightening speed, gave my Dad a hug and kiss and Mum and I headed down with them. I was so nervous but it was all so rushed I hadn't even cried yet! 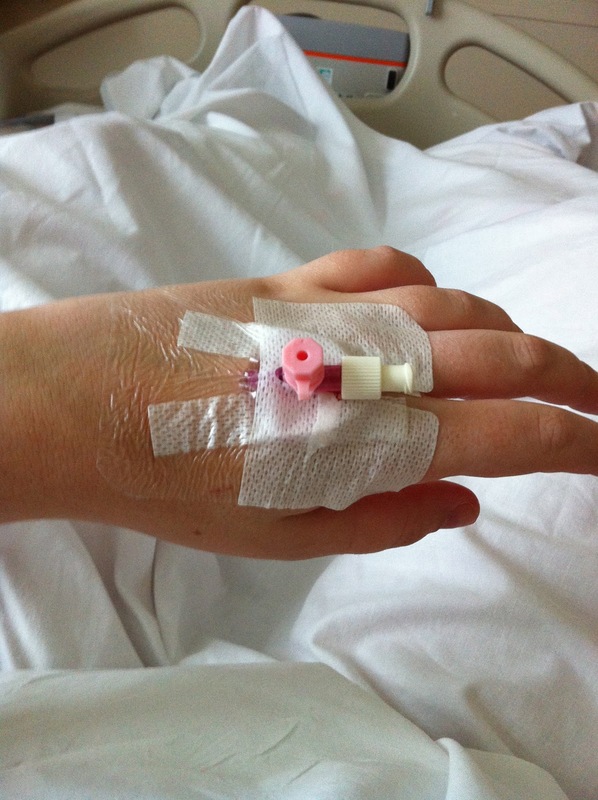 We went into the room, and they attached all the wires etc, they then inserted the IV, put in some really weird stuff that made me feel GREAT! (by this point I was crying my eyes out.. as was Mum.. its always the worst bit) They then got the white syringe and I was off with the fairys.. 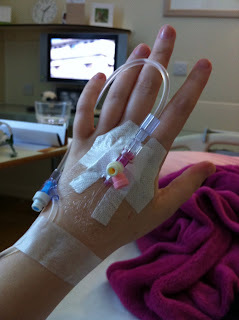 This is my first IV where everything was going in as I couldn't drink anything just yet! I do apologise for this picture, I have no memory of taking this... this is quite clearly what I look like on morphine! And this is my poor tummy! Bye bye bag!! It's very bloody and gross but this was all within an hour of coming up from recovery! I was also desperate for a wee! Bursting haha! So I was up and about within the hour but for some reason I couldn't wee! 10 hours later... I was still desperate for a wee unable to go! So the doctors and nurses came and put in a catheter.. an unpleasant experience consisting of things being shoved where things shouldn't be and being poked with syringes in places you shouldn't but after all that it was fine! I haven't much memory of this day, nothing much really happened other than pain, pain a bit more pain, feeling sick.. pain.. oh and more pain! I was on morphine, tramadol, paracetamol, buscapane and metoclopromide which is anti sickness used for chemotherapy patients to empty the stomach so there is nothing to throw up. I have one word for you.. Vomit. I threw up pretty much from the moment I woke up.. to the half hour before I fell asleep. No exaggeration. 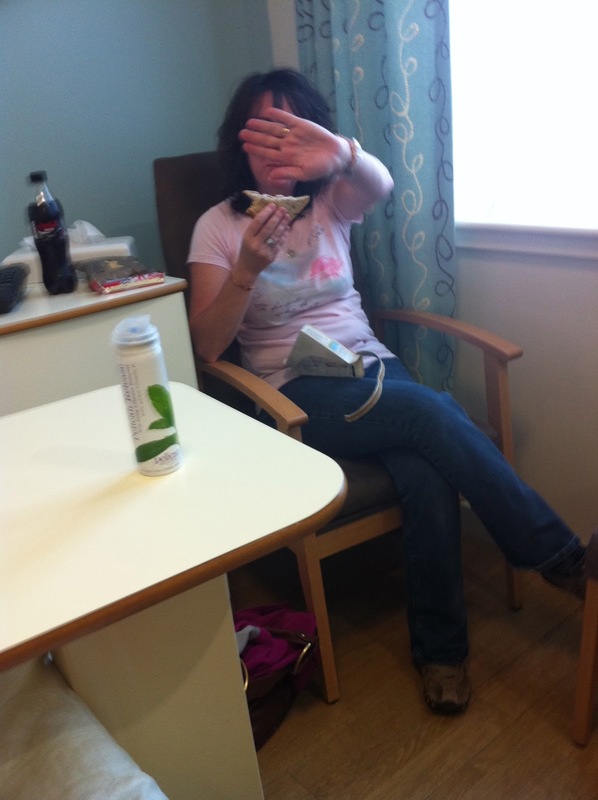 I had at least 3 nurses, my Mum and then my Dad hold my hair back from me throwing up all over myself. 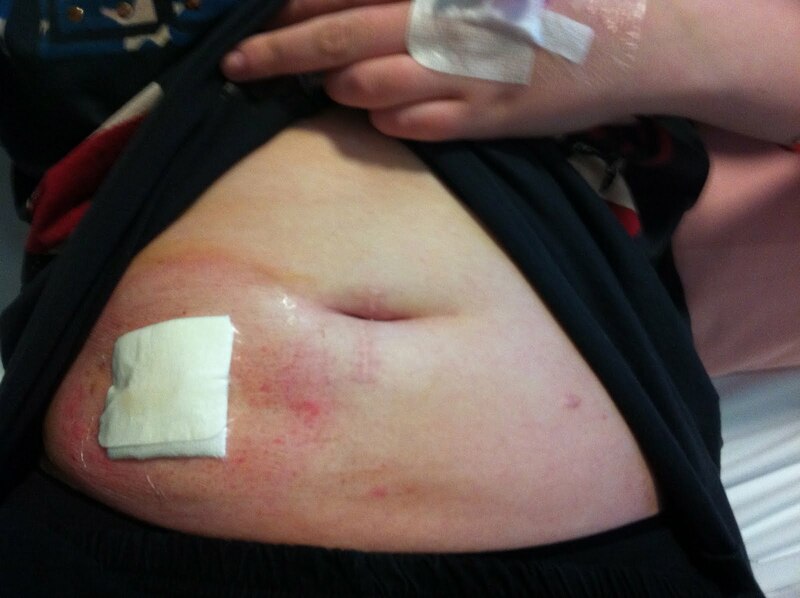 And let me tell you when you have a hole in your stomach, throwing up is the most painful experience ever! Trying to stay conscious, aim in the bowl and put enough pressure on your tummy to relieve it of the stress is hard work! I was so exhausted! By the end of that day I had tried every single anti sickness the hospital could prescribe. A massive dose of morphine and metoclopromide knocked me out fully! Had my wound dressing changed for the first time today as well. They have to pack it, as it's open to encourage the wound to heal from the inside out. 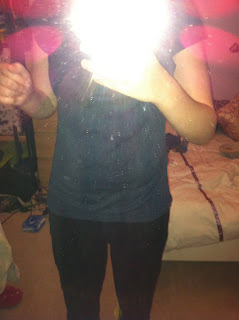 Very unpleasant but its gonna be a daily job to I had to just get in with it and I felt too sick to argue. Today my bowels woke up! WOO! Means that I was allowed home! Although I wasn't cause of all the other stuff going on. They were gurgling like I've never heard gurgles before. At times it made me jump cause I'm so not used to it! Very weird! I also had to have my IV changed I was still so sick and nauseas all the time. And the cramps from my stomach waking up were the most painful thing I've ever experienced. It got so bad that I shouted that I couldn't do it anymore. And I honestly at that point wanted to give up. I felt so hopeless and in so much pain! I couldn't cry properly cause it hurt so badly! 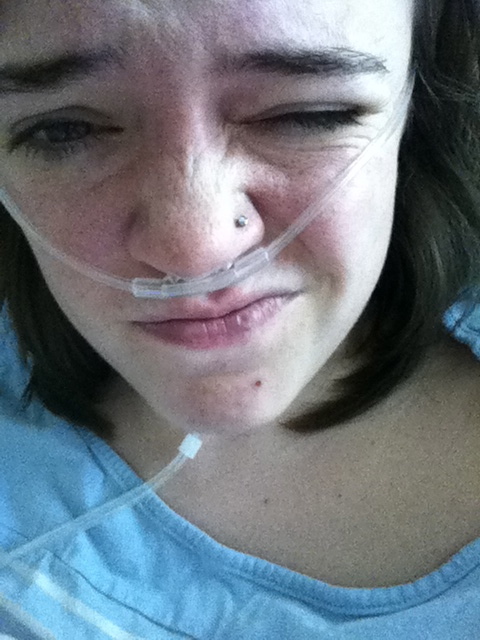 In the end I had the doctor and nurse hooking me up to oxygen, filling me with bottles and syringes. On this day alone, I had 23 needles poked into me for different reasons. I was up and down to the bathroom all night long. Having not been to the bathroom as normal people do for a year and a half it was a horrible experience. And I had the sorest bum ever! I just wasn't used to it. It was alien to me! I hadn't eaten anything since the morning of day 3 and still had no appetite so there was nothing for my stomach to chew on so to speak, so it was just chewing me basically and it hurt! I was more mobile today! I'd had a shower the night before so I was feeling more human, and starting to be eager to go home! Still feeling so so sick though! Mr B said that if I had eaten, drank enough and been to the bathroom walked around enough, I could go home. So I stuffed my face with a panini, a doughnut and soup. A litre of water. 3 laps of the ward. 4 trips to the bathroom and they said I could go! Over the moon!! I felt awful still but you always feel better at home! The car journey home was awful but not as bad as I thought! First day for 2 years wearing a normal length Tshirt! Yay!!! WARNING: DO NOT SCROLL ANY FURTHER IF YOU ARE SENSITIVE TO CUTS AND BLOOD. 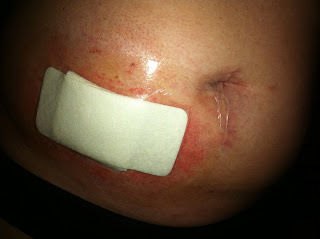 This is what my wound looks like 1 week post surgery. This is it unpacked and cleaned. And this is it on Tuesday 15th September. 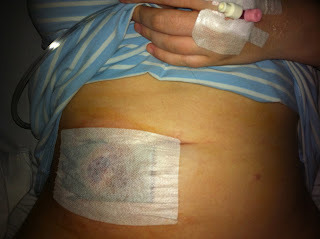 The skin around as some of you may recognise is starting to look like it did when it was bad around my ileostomy. It seems to have come back and is driving me mental its so sore! I also have a tennis ball size swelling at the top of the wound. So if you are getting annoyed with my moaning of pain on Facebook. Put this in your pipe and smoke it! Hi there! Just stumbled across your blog.. Such a great idea. I'm 26 & just had my illeostomy reversal 2 weeks ago :) still have a lovely hole in my tummy just like yours. It's nice to know someone else knows how I feel. I wish I kept a journal through my experiences too! Through the source of this share, the writer has seeking to provide the knowledge related to each basic fact of ileostomy reversal. I had also got information regarding it through this pot only.